Productivity+ is an Add-On to Mastercam that allows you to program and simulate a Renishaw probe for your machine tool. This is a new solution for integrating process control into your CNC programs. Productivity+ will perform measurements and alignments, allowing you to set up and validate your parts at the machine tool. This leads to better process control and reporting of the performance of your machine tool. Close the loop by bringing setup and inspection onto the machine tool in process. 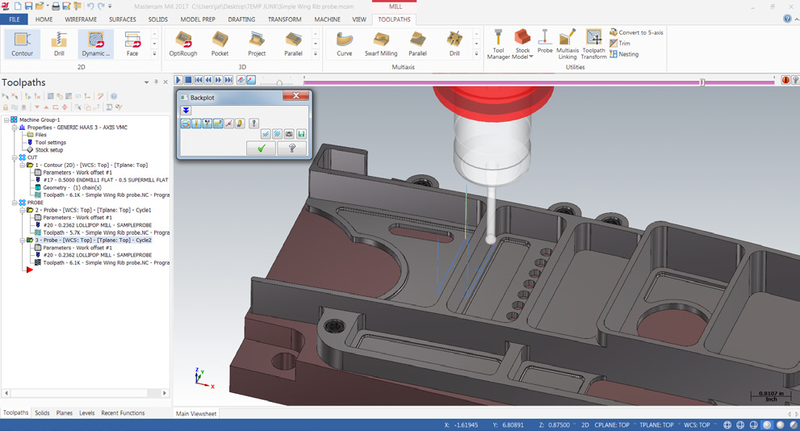 Productivity+ handles part setup and alignment, tool setup and breakage detection, part inspection, and tool/position adjustment on the fly, right within the program. Machine tools including 3-, 4-, and 5-axis configurations are supported via a wide range of post processors, providing a consistent level of functionality between machine types. This makes it possible to transfer one probing program between machine tools by simply reposting the program. Since Productivity+ runs entirely on the machine tool, the program forms a selfcontained package which operates in exactly the same way, every time a part is run. Once it’s programmed, there is no need for an external PC, eliminating potential communications set-up issues. Predictive process setting—performing simple tests to ensure that a machine process will be successful. 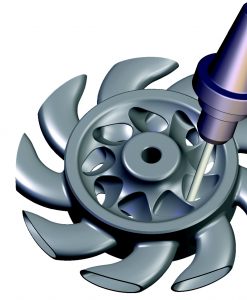 Active in-process control—using the probe to measure features and update machining process based on the results obtained. Informative reporting—providing information about the in-process state of a component, and about the decisions that were made when producing it. Productivity+ creates programs which run entirely on the machine tool, including all the calculations, updates, and logic which are needed—so no external PC is required to process measurement data. For more information on Productivity+, click here.